It has been almost 12 months since I was last in the fells. A big work project has been a somewhat all consuming but is finally starting to slacken off. And so for the first time in ages, I had some free time and a nice forecast, which is always a glorious combination of events. 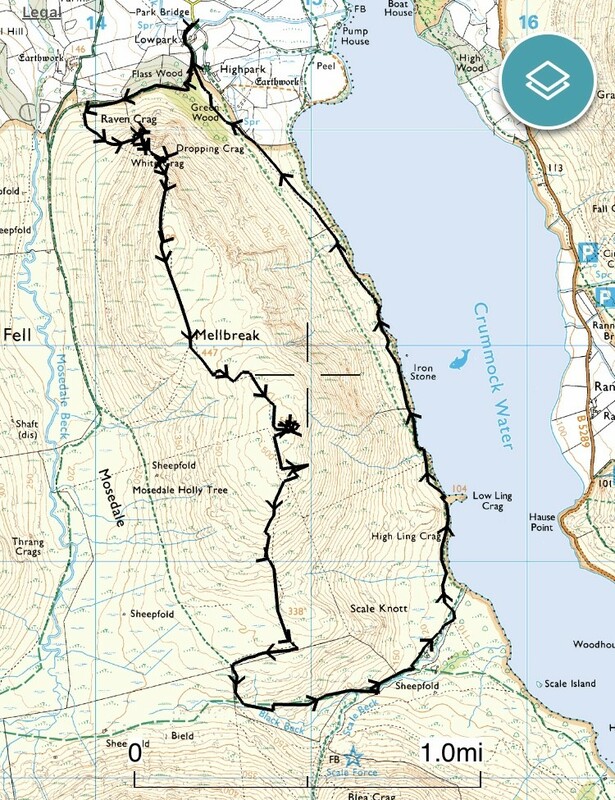 Mellbreak has been on the radar for a while but this is really a fell that must be climbed in fair weather. Not just because of the superb views but because it involves a fairly steep ascent that can involve the use of hands and feet on occasion. 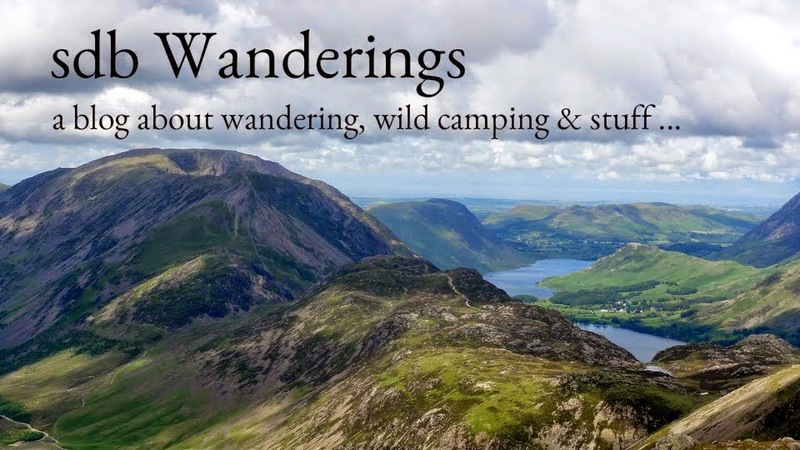 I had planned on climbing it from the Buttermere side of the fell but a perusal of Wainwrights pictorial guide revealed that this is not recommended, as the best views are behind you for the bulk of the climb. Far better, apparently, is an ascent from the Loweswater side which he argues is much more interesting and saves the best views for the descent towards Buttermere. Having now climbed the fell, I would have to agree. From Park Bridge, a path skirts the lower flanks of Mellbreak before turning abruptly upwards along a scree track. It then weaves its way up through Raven Crag to eventually emerge onto a lovely little promontory that reveals expansive views along the length of Crummock Water. An ideal spot for a pause before the loins are girded for the final push up onto the summit plateau. Mellbreak has a north and south summit which are almost the same height, although the latter is marginally higher and therefore the true top. In between is a wide depression about a kilometer in length and peaty underfoot. The best views require a short wander from the south summit over to the Crummock Water side. Here, is the ideal lunch spot. A steep descent over Scale Knott emerges by Far Ruddy Beck which is then followed down to Crummock Water. A lovely lakeside path can then be followed along the banks of Crummock water with superb views over to Rannerdale and Grasmoor. I had the company of Cuckoo, hidden somewhere in the trees by High Park, for this pleasant stroll back to the car.